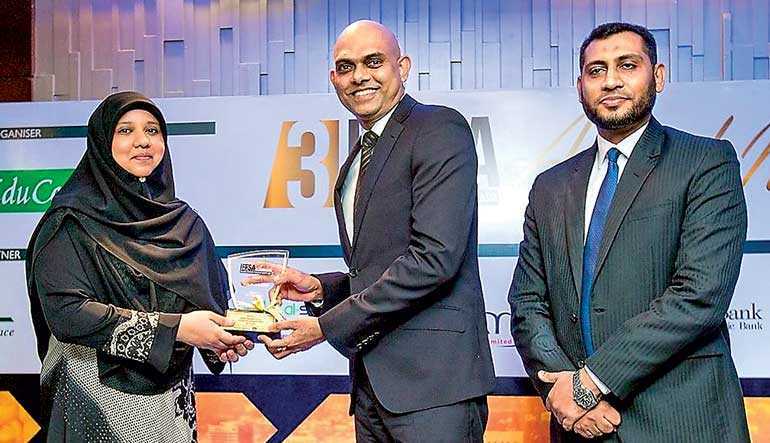 Commercial Leasing & Finance PLC’s (CLC) Islamic Business Division took home three Gold awards at the 3rd Islamic Finance Forum for South Asia (IFFSA) Awards 2018. As a result of dedication and commitment to the Islamic banking and finance sector, CLC was able to walk away with the ‘Window of the Year,’ ‘Leasing Company of the Year’ and the prestigious ‘Islamic Finance Entity of the Year’ awards. The internationally-acclaimed awards ceremony sees the participation of fully-fledged banks, finance windows, insurance providers, IT companies and education providers from across South Asia, with entities represented from not only Sri Lanka, but also India, Pakistan, Maldives and Bangladesh. This year CLC Islamic Finance once again triumphed against the best banks and financial institutions from across the region, securing international recognition for the Sri Lankan financial institution, as well as recognising the hard work of the CLC team over the years. This includes its fully-fledged Shari’ah compliant product range, extensive branch network comprising of over 60 branches and service points across the island, all of which offer Islamic financing. The awards have stood to recognise for the commitment that CLC has maintained to incorporating and offering Islamic finance options across the nation, and making great strides in the education of both staff and customers on the intricacies of Sharia-compliant finance. Commenced with a fully-fledged Shari’ah compliant product range to cater all customer requirements, making Islamic finance available within branch network island wide, providing the highest profits for investment products among the Islamic banking and finance industry, flexible service and effort made to educate the public on this concept made CLC Islamic Finance an undisputed leader in the Islamic finance industry.